When shopping for security cameras for your home or business, you will be bombarded with tons of different options. Many people have a difficult time determining what type of security camera they need for their home or business, and it can definitely be tricky to make a selection when bombarded with pushy salesmen and tons of enticing advertisements. If you are wondering what type of security camera to purchase for your home or business protection purposes, you should take a look at the answers and explanations to these commonly asked questions. By doing your research and learning as much as you can about the subject, you will be able to make a much better purchasing decision; not only will this leave you with better equipment, but you also won’t have to break your budget or feel disappointment about your purchase. What Are Full-Color Security Cameras? Full-color security cameras are security cameras that capture surveillance footage in full color instead of in black and white. Although the quality of this color footage varies based on the security camera, some of the best models can capture footage of an amazing quality. How Are Full-Color Security Cameras Better Than Cameras From The Past? Technology has come a long way in the security world in the last several years, and you will hardly recognize the surveillance footage of the past when compared with more modern technology. Although security cameras in past years were somewhat useful and effective for security purposes, these cameras often left a lot of questions unanswered because of their poor picture quality. Today’s full-color security cameras have developed leaps and bounds over cameras from the past, and technology is only improving further as time goes on. Instead of dealing with unclear surveillance footage, homeowners and business owners alike have easy access to some of the clearest picture that is available in the industry. The best news is, these cameras can often be purchased for far less than the cameras of yesterday were sold for during their prime. Are Black and White Security Cameras Ever Better Than Color Cameras? Some people who are more accustomed to black and white security cameras might claim that they are better, but they will more than likely change their mind when they see good quality footage from a full-color security camera. The black and white footage from video cameras of the past and from inexpensive models nowadays is often grainy and unclear; the footage from these cameras is often difficult to identify, and you can sometimes look right at someone in this type of footage and still have a difficult time making any sort of identification. Do I Need a Color Security Camera? These days, every home or business should ideally be outfitted with at least a couple of full-color security cameras. Full-color security cameras offer unmatched security when compared to most other security methods. They are also quite affordable; you typically simply have to pay for your equipment up front, and maintenance fees and other costs are typically very minimal if you take good care of your equipment. Whether you own a small business, rent a house, own a mansion or run a multi-billion dollar corporation, it is truly essential for you to consider installing full-color security cameras on your property. Doing so will provide you with the footage that you need to prosecute someone if they break into your home or business or if other issues arise, and you will feel much more protected when you know that your investment is properly protected. As with any purchase that you make, it is important to do your research before purchasing a color security camera. There are plenty of good deals out there on these cameras, but there are also a lot of scammers who are out there to make a buck by selling you a low-quality security camera for a bad price. 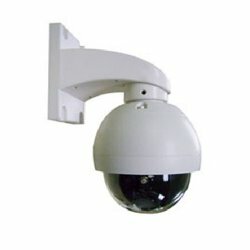 If you know what to look for, however, you should have no problem getting the full-color security camera that you need. Different homeowners and business owners have different needs and budgets, so you will need to assess the type of camera that you need and the type of camera that you can purchase with your budget. You will probably be surprised by the nice cameras that you can purchase for a great price. What Style Should I Look For? 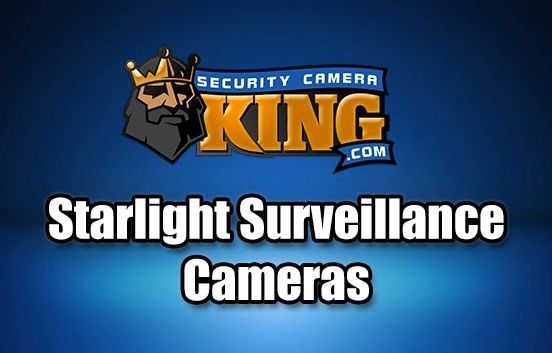 There are many different styles of security cameras out there for you to choose from. Although you might picture a typical wall-mounted camera when you think of a color security camera, this type of camera is not the only option out there. Wall-mounted cameras are, however, a good idea for most homes. Retail stores might benefit more from darkened dome cameras that mount to the ceiling. These cameras make it impossible for people to figure out what they are pointing at, but they still provide an excellent video quality. Should I Look For a Wireless Color Security Camera? One type of technology that many people look for are wireless cameras. Wireless cameras are convenient to set up and do not tend to get in the way as much cameras with wires, and they are also usually much safer from vandals who tend to cut wires when they can. Therefore, you will probably want to look for a wireless camera. Wireless security cameras are becoming increasingly more popular among consumers, so you should not have to search hard to find a high-quality wireless camera with a full-color video quality. Do I Need a Night Vision Camera? One complaint that some people have about full-color security cameras is the fact that some of them do not perform well in low-light situations. Many people exaggerate this fact, however. Although there are many full-color security cameras that do not perform in low-light or no-light situations well or at all, there are just as many cameras out there that perform wonderfully in all types of lighting situations. You simply have to know what to look for in order to get the camera that you need. You might be unsure of whether you need a camera that performs well at night, but in most cases it is preferable for you to have a camera that can at least perform well in low-light situations; having a camera that can capture clear surveillance footage 24 hours a day is even better, however. There is always the option of purchasing separate cameras for day and night use, but this is an unnecessary expense that will cause extra clutter and a bit of frustration when it comes to wiring and programming. There is truly no reason to purchase separate cameras when you can find a camera that operates in all sorts of lighting situations. Many cameras simply switch automatically to the correct view, ensuring that your surveillance footage is never interrupted. What Is a Light Rating? If you are wondering how a specific camera will perform in low-light and no-light situations, you will want to take a look at the Lux rating of the camera. When looking at the Lux rating of a security camera, remember that a higher score means it has lower visibility in the dark. Therefore, you will want to find a camera with the lowest number possible. Infrared cameras, or cameras that have true night vision technology, have a Lux rating of zero, so try to find a camera with these capabilities for the best security. What Else Do I Need To Go With My Color Security Cameras? After you have chosen the right color security camera for your home or business, you will need to purchase additional equipment in order to install and use it correctly. The first thing that you will need is a digital video recorder. A standalone digital video recorder is often the best choice, and there are tons of great options out there that will work flawlessly with the cameras of your choice. Simply make sure that you purchase a standalone digital video recorder that is capable of being hooked up to all of your cameras. Also, consider comparing features and storage space along with comparing prices to ensure that you get the best-quality digital video recorder for the price. If purchasing a standalone unit for your security system, you can look into using security camera software on your laptop or PC for this purpose. It is generally recommended that you do not use the same computer that you use on a regular basis, and you might decide that a standalone digital video recorder is your best option after all. Next, you will want to find a good monitor for watching your surveillance footage. Since you have obviously taken the time to choose a color security camera that offers the best possible video quality, you also want to choose a nice monitor that will accurately portray your footage. You can typically use a regular computer monitor for these purposes, so look for a model that has an excellent picture quality for best results. 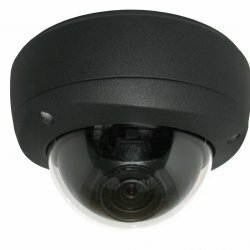 Where Can I Buy a Color Security Camera and Other Security Equipment? More and more retailers are beginning to sell various security cameras and other security-related equipment, but it is important for you to carefully choose the retailer you are going to work with when buying this type of equipment. Your best bet when shopping for a high-quality color surveillance camera, a standalone digital video recorder and other security equipment is to shop with a retailer who specializes in selling security cameras and their related equipment. Retailers who specialize in security equipment often have a much larger selection for you to choose from, and their equipment is usually top-notch. Along with offerings tons of different security-related products for you to choose from, they also often have the best deals on their equipment as well. Finding a business that specializes in security-related equipment might be difficult in your local area, but you should consider looking online for options. 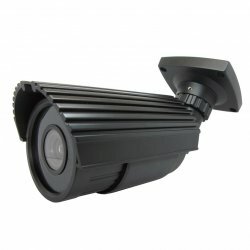 Shopping for security equipment online is an easy way to make the purchase that you need without having to go to tons of different stores in your local area, and you can also shop at your own convenience instead of dealing with the hassle of rushing to different stores after you get off work. Another benefit of purchasing security cameras online from a retailer who specializes in selling security cameras is that you will be able to talk to staff members who actually understand security cameras and how they work. If you are having a difficult time choosing the right security camera for your home or business, don’t hesitate to ask someone from a security camera shop. 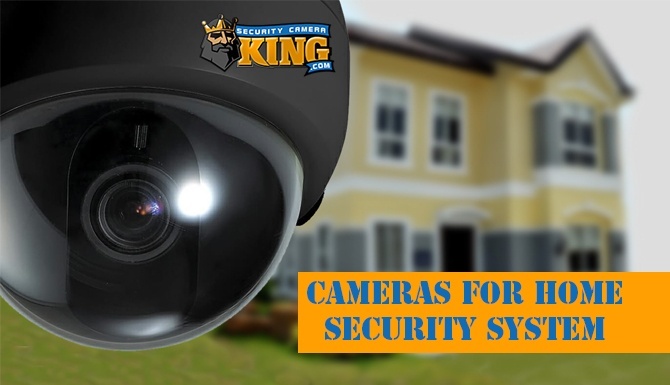 They can often give you an idea of what type of security camera is the best in your price range, and they can also answer any questions that you might have about the cameras and other equipment that you are thinking about buying. Once you have purchased and set up your brand new color security cameras and the rest of your equipment, you will instantly feel more relaxed and at home. Security concerns plague people in many ways, but you will not have to worry as much once you have installed security cameras in your home or business. You can also rest assured knowing that you have the highest-quality video and protection available from a security camera if you take the time to make the right purchase.